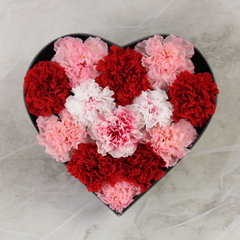 Sending flowers to a loved one brightens their surroundings implying that the recipient is present and near to the sender’s thoughts. 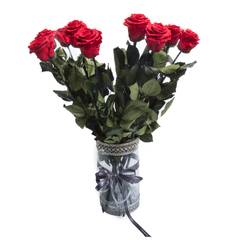 Although a sender may be far away, preserved roses serve as an everlasting testimonial that the recipient is never far from the sender’s heart. Portraying timelessness, everlasting roses superbly embody eternal love and its perfection at every stage. 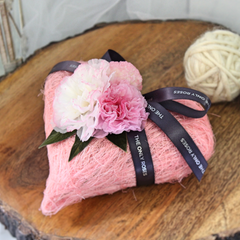 The inspiration and story behind The Only Roses stems from the everlasting relationship between mother and child. Likewise, the Ecuadorian Rose abundantly grows as a result of the sun’s nourishment. Similarly, the love between a mother and their child is like the growth of the Ecuadorian Rose. Like the sun, the love and attention that a mother gives her children are constantly nourishing as if tending to impressionable flowers in a garden of reciprocity. 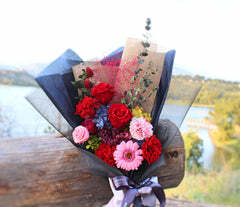 Sending flowers to loved ones is essentially a symbol of appreciation and respect. In recognition of the divine beauty, life, and fragility of the flower as well as the sender and recipient’s relationship. This cherishing sentiment is uniquely framed in the offering of everlasting roses. 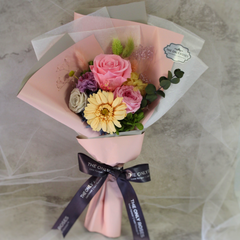 Being far away and sending flowers is a classic way to communicate a profound admiration from afar. Certainly, gratitude and appreciation are felt upon receiving flowers. Thanks to technology, a recipient often sends a picture of the flowers to the sender, thanking them. 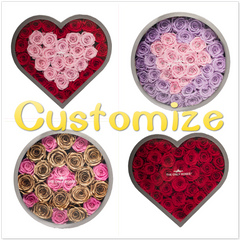 It was a thank you picture that a mother sent her daughter which seeded the inspiration for The Only Roses. Wilting flowers invoked a quest to exquisitely preserved them and therein, Everlasting Roses are always fresh and lively. Her mother’s genuine gesture extended the life of her daughter’s gift and therein, the art of dynamically preserving roses emerged as a budding opportunity. One in which compelling arrangements of preserved roses serve as a vitalizing symbol of eternally being there from afar. Eternally encapsulating the delight of emotion, the luxury concept arose for The Only Roses. First and foremost, the roses are specifically grown in Ecuador where their high altitude allows their growth to achieve the largest blooms and stems. After being snipped, they’re treated in an on-site facility where their preservation process entails a methodology of ensuring the color’s brilliance. The shipment of the preserved roses from south of the border and thereafter, into the Los Angeles studio is of the highest-quality ensuring its quality throughout shipment. Inside of the LA studio, the artistic craftsmanship imbued into each individual everlasting rose arrangement is exceptional. Truly, every product is sincerely crafted and genuinely expressed from the heart commemorating eternal love. 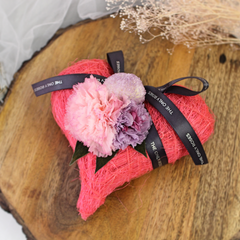 The tradition of giving flowers and thereafter, drying them harks and heralds the natural beauty as well as the ethereal essence of the natural world. 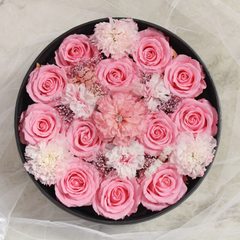 Taking floral arrangement to an artistic place of revelry and exuberance, the floral artists who are on location at the LA studio at The Only Roses, craft outstanding displays of attentive affection. 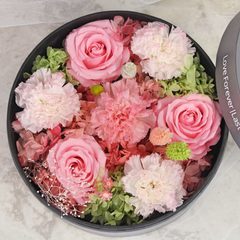 An arrangement of preserved roses pleasantly refurbishes the senses with tranquility. 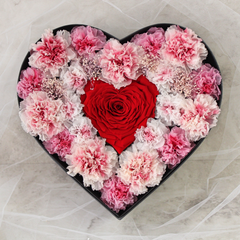 Literally springing the environment with effervescence as well as exquisite artistic designs, The Only Roses prides itself on its commitment to excellence and customer satisfaction. From seed to bloom to long-lasting preservation to being integrated into an everlasting rose arrangement to the receiver’s elation, The Only Roses is a premium brand committed to cultivated sentiment. There are countless myths and legends in history where the rose symbolizes beauty and eternal perfection. Still today, its preserved sumptuous ethereal nature delights and marvels. The blooming and fragrant symbolism of Everlasting Roses is striking and mesmerizing. 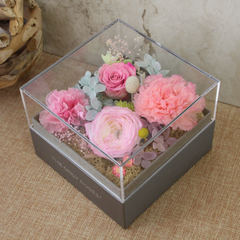 Each product of The Only Roses line is entirely individualistic and incomparable. Moreover, every product is significantly crafted to induce awe and splendor. Since the beginning of time, the rose has been a symbol of invoking passion and the divine. From covering the floor of notable figures such as Cleopatra to being written about more than fifty times in works of Shakespeare, the rose is a source of the sacred. In the long run, long stem roses have long been an inspiration for love despite their thorns. With this in mind, The Only Roses extols the process and prize of the everlasting rose without the hassle of thorns. 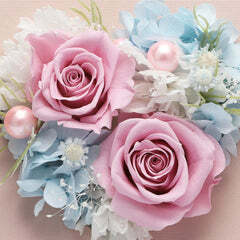 The devotion of the rose surely stands the test of time especially in regards to everlasting roses. Notably, archaeologists discovered fossilized remains of wild roses from over 40 million years old. Despite the only constant being change, a rose is perfect at all of its marvelous stages. Although distance may pull loved ones apart, with a gift of Everlasting Roses, a symbolism of eternally being there remains. This exuberant commitment is earnestly displayed in the longevity of their Everlasting Roses which are meant to last up to one-year. Historically, ancient civilizations have used dried roses to decorate homes and to celebrate special occasions. By doing so, they essentially honored the delicate and exuberant life-cycle of the sacred flower. Still, to this day, in modern culture, preserved roses commemorate not only a charismatic flower but also a nostalgic expression of faithful admiration and timeless fondness. According to records, it was in 1792, when the first red rose grew wild in China’s mountains. This rare beauty caused an amorous following of wild proportion as the rose quickly grew to become a sought-after commodity. The supply-and-demand groomed its own rosarian sect composed of those seeking the perfect rose as if it were the Holy Grail. Rosarians ultimately sought a fragrant, allergy-resistant, long-lasting, long-stemmed, eternally blooming, perfectly formed rose with non-fading vivid color. As a result, the quest for the everlasting rose began and for this reason, preserved roses have long been revered and sought after worldwide. 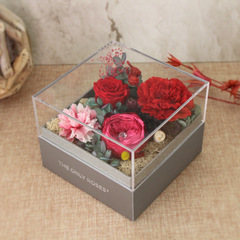 In regards to the incomparable preserved rose creations at The Only Roses, it was a mother's love for her child and preserving the roses she had sent her which seeded Everlasting Roses. 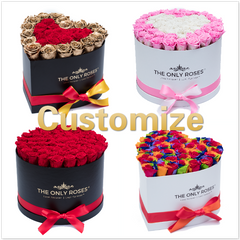 Blooming into a divine dynasty which creates attractive arrangements of preserved roses, The Only Roses offers the opportunity to show loved ones how much they’re cherished with handcrafted creations of adoration. Everlasting roses are designed with impeccable natural artistry as well as a substantial commitment to encapsulating value and significance. 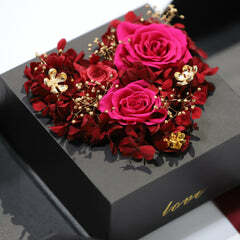 In sum, love forever and last forever with The Only Roses and their splendidly refined preserved roses. © 2019 The Only Roses.